Radon mitigation is any process used to reduce radon concentrations in the breathing zones of occupied buildings.Radon levels fluctuate naturally and Radon removal is implemented to reduce indoor radon levels. Radon can be removed by the use of air pipes and fans to exhaust sub-slab air to the outside called sub-slab depressurization, active soil depressurization, or soil suction. For crawlspaces, the EPA states “An effective method to reduce radon levels in crawlspace homes involves covering the earth floor with a high-density plastic sheet. A vent pipe and fan are used to draw the radon from under the sheet and vent it to the outdoors. This form of soil suction is called submembrane suction, and when properly applied is the most effective way to reduce radon levels in crawlspace homes. Nearly all mechanical ventilation-based radon control systems are of fixed rate operation, and even if the indoor relative humidity in the interior of a building goes high, they will continue to inject moisture-laden air into this wet environment increasing the likelihood of mold growth. This is especially risky in hot, humid climates. 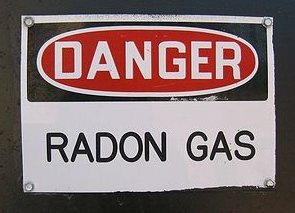 It is not an unusual practice for radon mitigators in hot, humid climates to warn of possible resulting mold problems by way of an easily removed warning sticker. With well-sealed HVAC ducts, very small negative pressures, perhaps as little as 0.5 pascal, will prevent the entry of highly radon-laden wall cavity air from entering into the breathing zone. Radon mitigation can prevent mold growth in exterior walls in heating climates, especially suseptible clients to Radon.